Bill Hamlin, Executive Vice President And Chief Operating Officer. Horizon Lines, Inc. has announced that William A. Hamlin has been named Executive Vice President and Chief Operating Officer. In his new role, Mr. Hamlin will continue to report to Sam Woodward, President and Chief Executive Officer. Mr. Hamlin joined Horizon Lines in March 2011 as Senior Vice President of Operations. His responsibilities include ocean transportation services, inland transportation, terminals, equipment management, maintenance, network management, labor relations, security, safety and environmental. "Bill has successfully managed our company's complex operating environment since joining Horizon Lines just over two years ago," Mr. Woodward said. "He came to us as a widely respected industry executive and has continued to demonstrate strong leadership and clear vision during his tenure here. He has earned the confidence and trust of his colleagues and is the best person to lead operations as we strive to attain our vision of the future." Mr. Hamlin joined Horizon Lines from Jamian McElroy & Hamlin, LLC, a consulting firm specializing in transportation and infrastructure, domestic and international security and environmental issues. He served as a partner at the firm from 2009 to 2011. Prior to that, Mr. Hamlin held various executive positions with Norwegian Cruise Line Holdings Ltd., which he joined in 2004. During his tenure, he was responsible for fleet operations and new builds, and he led the project team in France that built the $1.2 billion Norwegian Epic, the second-largest cruise ship ever built at that time. From 1999 to 2004, Mr. Hamlin worked for APL Ltd., where he rose to President of APL's Americas Region after serving as Vice President of Operations, with responsibility for all port, equipment and inland transportation for the Americas. He also served as President of the company's Eagle Marine Services, with responsibility for operations of four West Coast U.S. terminals in Los Angeles, Oakland, Seattle and Dutch Harbor, Alaska. Mr. Hamlin is a graduate of the University of Maine, and he began his career taking a position in Saudi Arabia. He held several positions in international trade and transportation in Riyadh and Jeddah before joining U.S. Lines in 1984, where he was stationed in both Saudi Arabia and Brazil. In 1986, Mr. Hamlin joined Horizon Lines' predecessor, Sea-Land Service, Inc. During his tenure with Sea-Land, Mr. Hamlin's responsibilities included managing the global container and chassis fleet, as well as rail and truck operations. He was Vice President, Transportation and Equipment Operations when he left Sea-Land in 1999 to join APL. Mr. Hamlin has served on the board of directors of the Pacific Maritime Association and the Pacific Merchant Shipping Association, as well as the North America Maritime Ministry Association and the Ocean Carrier Equipment Management Association. 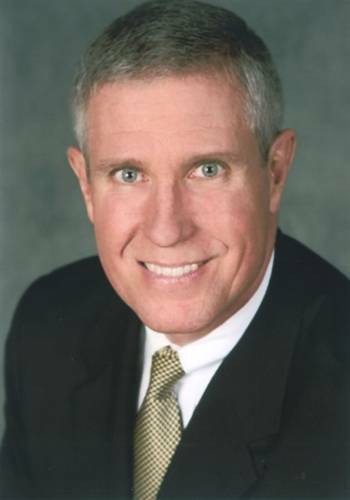 He is a current board member of the University of Denver Intermodal Transportation Institute.